Activists opposed to India’s plans to massively increase civilian nuclear power production are aghast that a plan for an Indo-Japanese nuclear cooperation deal is gaining pace even while Japan is struggling to cope with the fallout of the March 2011 Fukushima nuclear disaster. Two and a half years ago, Ayako Oga, now 30, found herself helpless as an earthquake and the tsunami it triggered hit Japan and crippled four reactors at the Fukushima Daiichi nuclear plant. 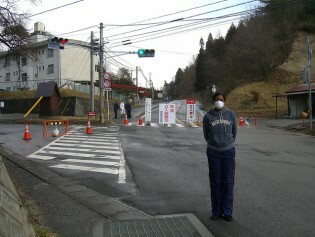 She and her husband were forced to abandon their village Ookuma Machi, barely five kilometres away. Life for Yoshihiro Watanabe and his wife Mutsuko, mushroom and rice farmers from Fukushima, has changed drastically since the disastrous meltdowns in the Dai Ichi nuclear plant that was hit by a massive tsunami after a 9.0 strong earthquake struck on Mar. 11, 2011. The United Nations has come under criticism from medical experts and members of civil society for what these critics consider inaccurate statements about the effects of lingering radioactivity on local populations. Over one million kgs of nuclear waste sit in limbo on the banks of the Hudson River, in dry cask storage units and spent fuel pools just 60 kms north of New York City, according to environmental organisations. Pushed and pulled in opposite directions, the future of Japan’s energy plans in the wake of the accident at the Fukushima Daiichi nuclear power plant two years ago is emerging as a fight between national economic advancement and what anti-nuke activists call “the lives of the people”. Two years after Japan's Fukushima Daiichi nuclear disaster, the country faces 100 to 250 billion dollars in cleanup and compensation costs, tens of thousands of displaced people and widespread impacts of radiation. Japan prepares to mark the second anniversary of the Mar. 11 triple disaster - an earthquake, tsunami and a critical nuclear reactor accident - with much soul searching across the country. Japan's crippled nuclear power plant is struggling to find space to store tens of thousands of tonnes of highly contaminated water used to cool the broken reactors, the manager of the water treatment team has said. Kazuya Tarukawa, 36, left a secure job in the Japanese capital to tend to his family’s organic farm located 100 km away from the crippled Fukushima Daiichi nuclear reactor.